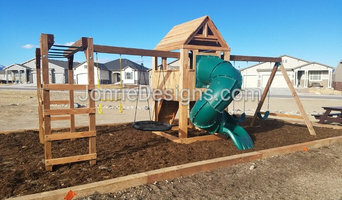 Jonrie Designs, LLC has also been building swing sets and custom clubhouses all around the state of Colorado officially since 2009. Jonathan built his first custom clubhouse in 2007 for his own kids to play on. This was the start of his new passion. Since then, each year the demand has gotten progressively larger and keeps us busy full time from March-September. Our clubhouses are still being built from October-February but the demand is smaller. Jonrie Designs, LLC can custom build each one so they can all be a bit different. 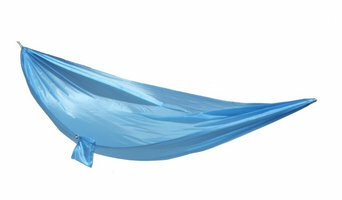 They can do a standard 8′ swing set and up to a customers dream, the options are endless. Unlike other businesses, they also pride themselves on saying that there’s never been a yard they couldn’t build in. Give them a design/idea or request a standard set and either way your kids will be in heaven. La Petite Maison specializes in creating exquisite, out-of-the-ordinary playhouses. We can fulfill any request, from a charming cottage to a magnificent Mediterranean villa. 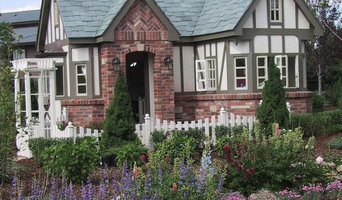 Or if you prefer, request a replica of your own home, complete with child-sized kitchen, reading library, or media room. We can build around your specific needs, including designing for children with allergies or special physical requirements. You work directly with two award-winning designers: Alan Mowrer, the builder and Michelle Pollak, the company’s interior designer. Michelle, president of The Lollipop Tree Inc., is an award-winning designer who specializes in children’s spaces. Colorado Outdoor Game Tables hand-builds solid yet stylish recreational game tables, designed to inspire inter-generational fun, interaction and connection. Table tennis is a simple and fun recreational activity for all ages and fitness levels, building coordination, focus and overall cardiovascular health. Tapping into the European tradition of playing outdoor games is a unique way to build community and connect generations. Throughout Europe, outdoor game tables are prevalent in public parks, universities and community centers. 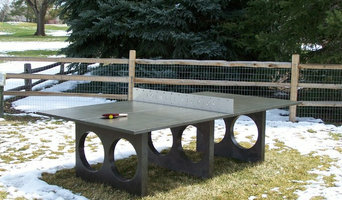 In the United States outdoor game tables are becoming increasingly popular in public and private recreational spaces, as well as with homeowners and companies who want to create a unique and fun outdoor gathering place. The tables can also be utilized indoors within a recreational center, corporate/community game room, or in a private recreation or board room. Our exclusive sleek and well-designed Garden Table is as beautiful as it is functional — built for a lifetime of play and pleasure. The Garden Tables are approachable pieces of architecture, with a clean, modern look and feel. With our simple removable net, the table’s usefulness extends beyond the game to become a beautiful dining or conference table. The exclusive finish for this multi-use table makes for an outstanding playing surface as well as an artful dining or meeting experience. Park & Sun Sports has manufactured and designed high quality sporting goods equipment and innovative products for over 30 years. Park & Sun Sports set the standard for upper end net systems with its telescopic poles and the original slip-on sleeve net design. 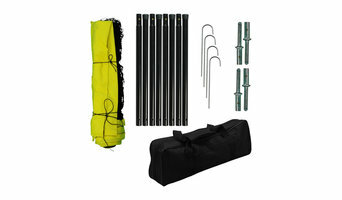 Our product line offers a complete selection of sporting goods equipment, volleyball net sets, outdoor lawn games and unique game tables. Since 1994, our Denver auto repair shop has offered honest, professional AAA-approved car and vehicle service. Many say our ASE certified automotive repair center is the best in the business and we agree! At Eldorado we offer custom walls, boulders, panelized wall mounts, modular walls, climbing slabs and towers. Our outdoor wall structures encompass UV protection and are built to withstand extreme weather conditions. All of our custom climbing structures are hand painted, built for durability and molded to fit your unique space. Outdoor play system professionals design and build custom playhouses, playsets and other equipment, and also install prefabricated kits. They can design a playhouse to look like the main home or come up with a completely unique concept that suits the parents’ and kids’ fancies. Because playset kits can be quite tricky and time consuming to assemble, many Colorado homeowners hire professionals to handle the job both for convenience and for peace of mind with regard to safety and structural integrity. Here are some related professionals and vendors to complement the work of outdoor play systems: Backyard Courts, Landscape Contractors, General Contractors, Woodworkers & Carpenters. Find an outdoor play system professional on Houzz. Narrow your search in the Professionals section of the website to Lakeside, CO outdoor play systems. You can also search farther afield for a pro who fits your project’s needs.